Flotsam and jetsam or contemporary collections? 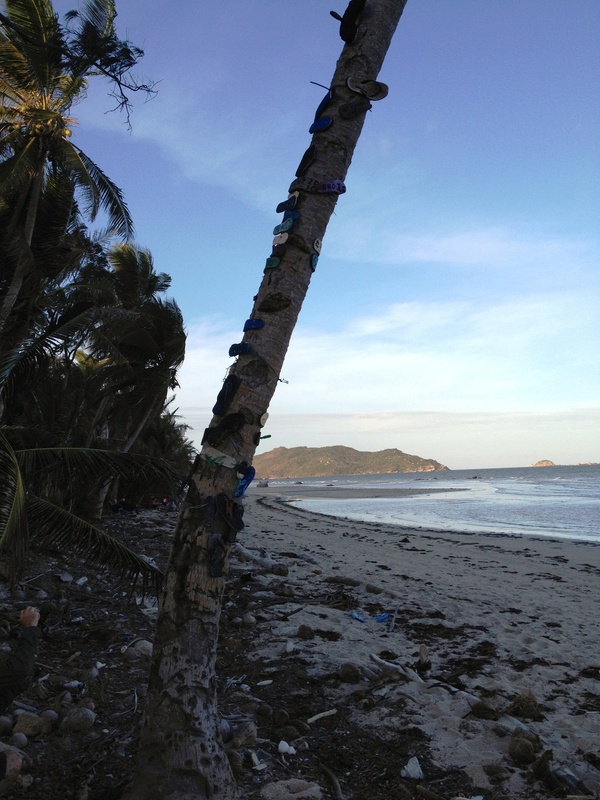 Could some of the thongs collected during the annual Chili Beach Clean Up be considered significant and included in contemporary collections and stories about tourism, environmental management and community on Eastern Cape York Peninsula? Over 4500 thongs, as well as other marine debris, were collected by Portland Roads residents, Lockhart River residents and environmental volunteers this year in their quest to keep this strip of coastline clean and healthy. The area is renown for its marine eddy’s which bring flotsam and jetsam into shore. Of course, not all of this maritime material is collectable. But the thongs keep on arriving and have now become synonymous with the yearly event. Strung up in the palms trees that line the beach, they are now representative objects that reflect the activity undertaken by locals to care for sea and country. One of the “thong” trees on Chili Beach near Lockhart River, Eastern Cape York. Posted on 17 September 2012, in Jo's Diary and tagged Cape York, Chili Beach, contemporary collecting, Lockhart River, Portland Roads, thongs. Bookmark the permalink. Leave a comment.